Jack Haley "1999 Local Hero"
Local hero Jack Haley perfected his surfing in the waves of Huntington Beach and soon became immersed in the surfing lifestyle. 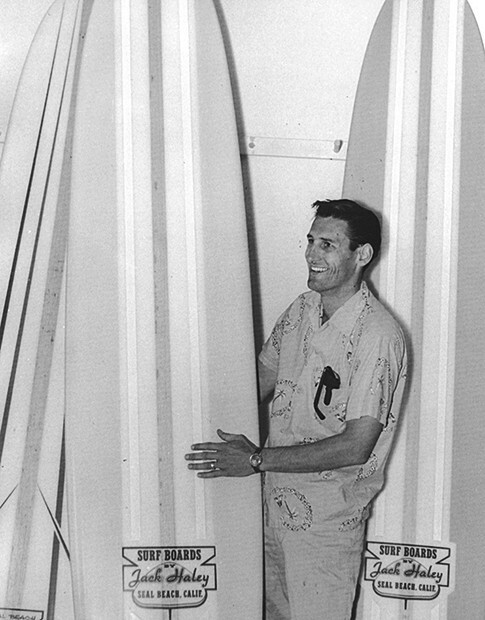 He holds the title of the first mens champion of the West Coast Surfing Championships held at Huntington Beach in 1959. Extremely successful, he had a surf shop in Seal Beach, then opened a restaurant "Captain Jack's" in Sunset Beach.